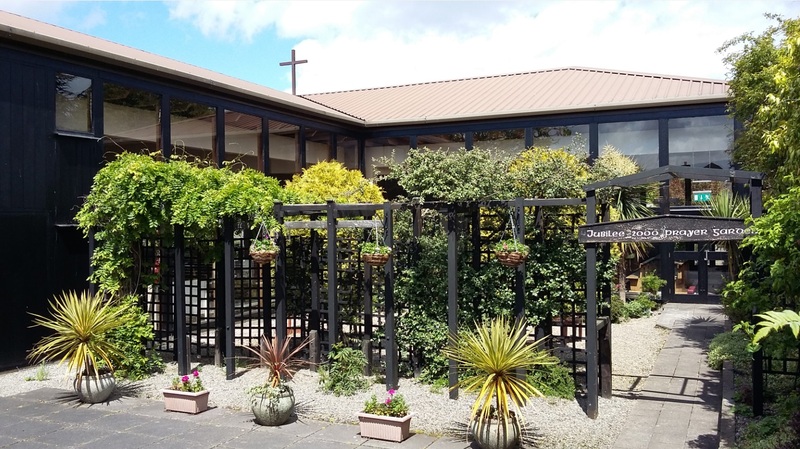 'Volunteers upgrade and maintain the Church Gardens so God’s creation can enhance our place of worship. A helping hand or green fingers? This group of volunteers meet each Monday after 10.00.am. Mass for about an hour, to upgrade our church gardens over time. Planning, planting, pruning and caring for the plants is an ongoing activity. The addition of some appropriate garden furnishings and other "fixed assets" enhances the outcome. The gardens are designated seasonal, one for Spring, one for Summer, one for Autumn and one for Winter so each will look its best at the appropriate time. Could you help clean, tidy and if you have even slightly green fingers help restore the four gardensto their original Four Seasons themes. You would be very welcome to join us on Mondays after 10.00.a.m. Mass.